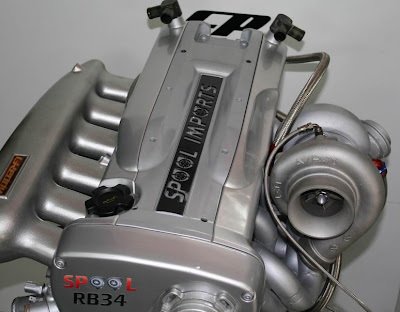 With permission from Spool Imports, I present to you, their take on an RB34DET motor. Due to the huge stroke, the block needs to be clareanced to allow the conrods to rotate without fouling on the cylinder block. 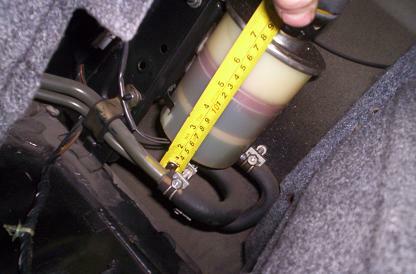 Leaving 50 thou of clearance allows for stretch at high rpm. The bottom of each bore has to be clearanced to give that little bit extra room for the I beam conrods. GTR main bearing smeared with assembly lube - notice the 4 extra holes ( with the recessed groove ) in the GTR bearings compared to just the one hole in the RB30 main bearings. Block threads are cleaned using a tap - this ensures all threads are clean and free from damage and corrosion. Restrictors are fitted to the block to prevent over oiling - a common problem with RB engines. A comparison between the old RB30DET engine and the new RB34DET stroker engine is complete. 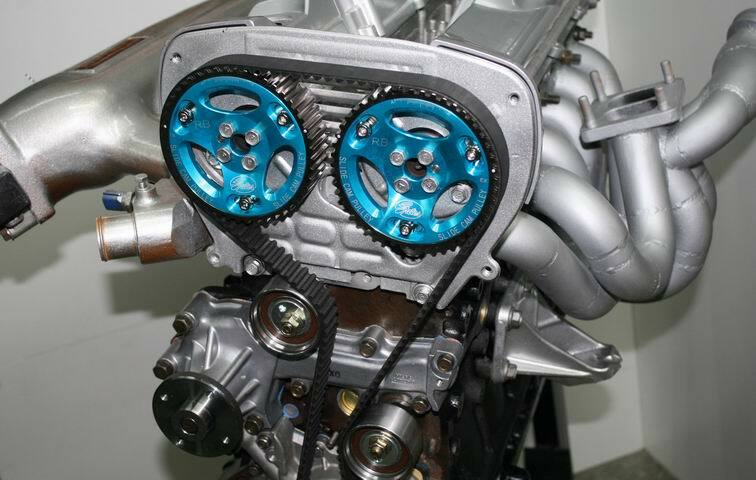 The two engines are identical in every way except for the new 95mm stroker crank set up. The purpose of building two near identical engines was the only real way to make a true comparison between a RB30/25 and a RB34/25. 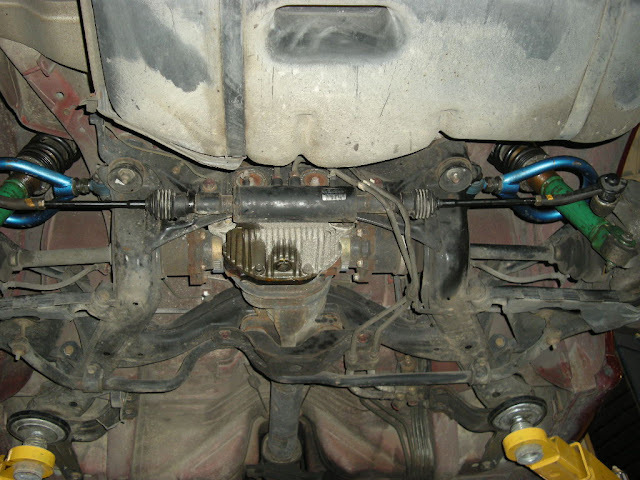 The identical set ups consisted of the same ( turbo, boost, cams, cam timing, plenum, exhaust, exhaust manifold etc etc ). We arent trying to make the most power or we wouldnt be using pump fuel and a medium frame old school T04Z, we are making a comparison. These increases apply to any setup when comparing the 3.4 litre to a 3.0 litre engine, whether its a 400hp or a 1500hp engine. At 4000 rpm the RB34 is making near on 60% increases in torque. More peak power would be achievable using this setup if bigger valves and cams were used. We believe that the head is struggling to flow the extra volume from the increased stroke (capacity) at high rpm. Obviously a bigger turbo, better head set up, and race fuel would achieve some massive increases arcoss the board. This will be the next engine project built. We are extremely happy with the results from this comparison and it shows beyond doubt that the RB34 will give more low, mid range and peak power in any setup compared to a 3.0 litre. NOTE: The std OEM crank girdle can be used with the RB34 crank setup. Nice. No replacement for displacement. I need some parts for one of my RB30's. I don't know much about the Neo head, but it looks like they eliminated the variable cam timing. I would think that would be 1/2 the fun of using that head.